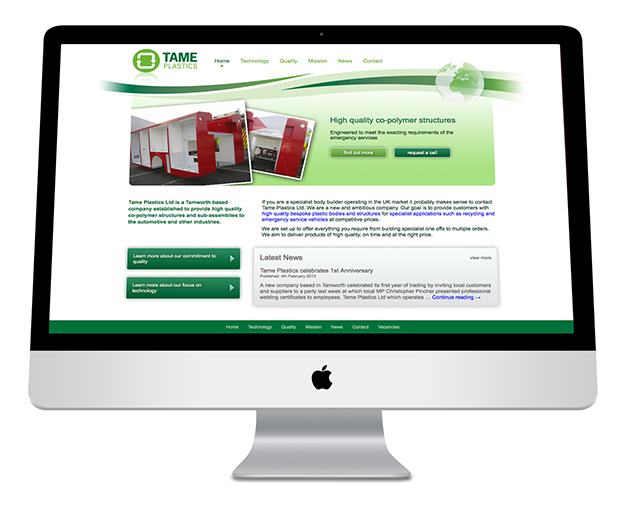 New website for Tame Plastics has been launched. Tame Plastics Ltd which operates from a factory unit on the Castle Trading Estate on Lagrange in Tamworth produces specialist commercial vehicle bodies for leading UK customers. The company was set up by Managing Director Neil Craggs in late 2011 and began trading just before Christmas that year. Its first project was to build two fire engine bodies for John Dennis Coachbuilders, based in Guildford, destined to enter service with Avon Fire & Rescue Service. Since then the list of customers has grown steadily.